Finally, got around to uploading my pics from my India trip. The pics are a mix of vacation and business. My hopes of being on CNBC Asia were dashed when my business partner Mike Martin was picked to be the talking head for Martin Capital, I guess when it’s your namesake on the shingle people want to hear it from the horses mouth. Some of the other pics are from a friend of a friend of a friend’s wedding in Bombay, I really take the Indian hospitality to a whole new level. Enjoy. I was surfing the web last night and came across an article from Fortune.com talking about the IPO of Netscape 10 years ago – August 9 , 1995. The IPO was the same week I joined Accenture and started my first real job in the tech sector. Those early days were great, going to The Drink in Chicago and watchin’ the Afrodisiacs on a Thursday night then proceeding to the office to bill clients at outrageous consulting rates. All the while the Netscape guys were building the platform that now pretty much consumes my life – the web browser. It’s been awhile since my previous entry on India, which is directly related to the fact i’ve been fairly busy with work. The weekend was crazy, staying out till 4am and eating food from street vendors, not a recommended idea but it was damn fun. The newest club in Bombay is located in Bandra called Squeeze, and the place is off the hook. One of the factors i use to judge a good place in India is whether the air conditioning is working and this place must be located on a massive 60ton unit b/c it was cold inside. Aside from that, the place had the highest concentration of beautiful indian women i have seen so far. As with most places in Bombay you have to be in the know and get on the guestlists or you will be left outside to kick it with the numerous stray dogs. Got a bunch of pictures I have to still upload to the blog from a couple movie sets we saw while in Bombay. The upcoming movie called “Blockbuster” “Autograph” (imdb.com info) featuring Abhishek Bachan and Priyanka Chopra (pic on the left) was being filmed by the office where we are working in Mahalaxmi. As far as cars are concerned, holy s!## I saw quite a few amazing cars and considering the import duties range from 100-150%, having any car north of USD 100k means you are the man. We rolled up to the Oberoi (now called Hilton Towers) and saw 1 of probably only 4 Bentley Flying Spurs in the country, cost in india – USD $380k. Other cars I have seen as of late BMW 645Ci droptop, H2, S55, Rolls Royce Phantom and a couple 911’s. 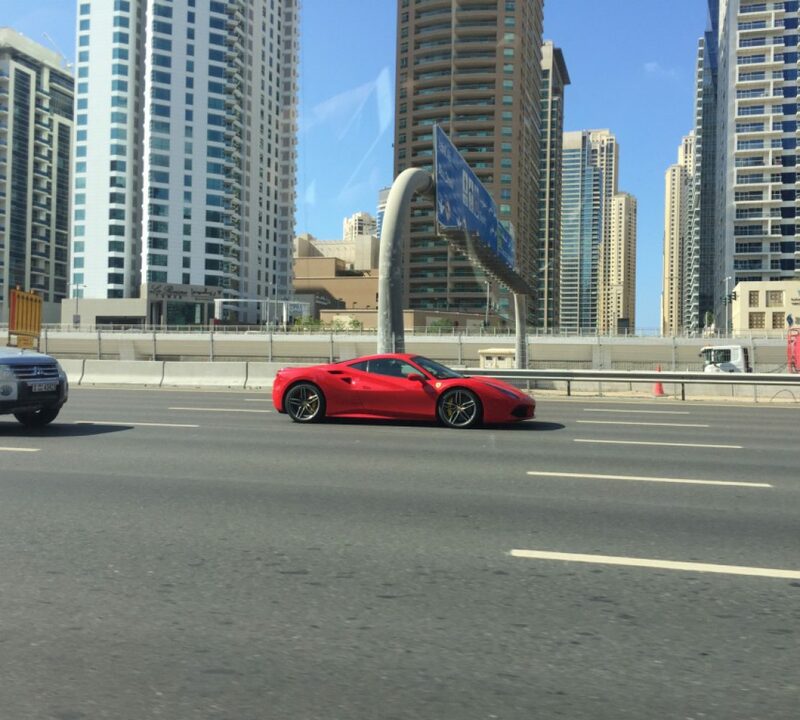 Saw the new 911 Carrera S zipping down Marine Drive, i’m pretty sure that driver knocked over 10-15 people in the process of going from 0-100Km. Have not seen a Ferrari yet, but I’m told it’s only a matter of time before i see one. Thursday is the night to be at Olives, it’s located in an area swarming with bollywood folks, bollywood wannabes, “models” and folks who want to be seen. I use the term “models” loosely b/c every friggin’ person in this country thinks they are model, when most should limit their modeling activities to their hands and feet. according to my cousin there were several famous people, but of course the only person I recognized was Sabeer Bhatia, founder of hotmail, damn the techie in me. I wanted to ask him to reset the password of some people i know, but i didn’t want to interupt his dinner with some other dude – you’re worth over USD $400 million, what’s the deal. Bottomline, Olives is awesome, but it’s best to come early and have dinner then stay till the end. Sidenote – i met more of my friends at Olives then my cousin did who lives right next door to the joint. MTV Desi is getting some press here in India and looks like it will launch on select cable systems at the end of the year. The website is a bit lame at the moment, but they are probably more focused on auditioning for their Indian VJ’s at this point. The big story in Bombay is about the “Kidnap Aunty.” In summary, bored housewife gives information to “batchmate” (read college friend) about neighbors kid, who gets kidnapped and held for Rs. 3 crore (USD $700k) ransom. They rescue the kid, the money and catch everyone involved, then it comes out “Kidnap Aunty” was involved. She is married to one of the top dogs at the Indian branch of Boston Consulting Group – I’m guessing the next Christmas party will be a bit weird with her around. The kicker, the Income Tax office gets involved to understand how the parents were able to afford a Rs. 3 crore ransom – man what a kick in the pants.